← Where have all the black boys gone? Students at Howard University should be eagerly rushing around campus in anticipation for the fall semester. Instead they gathered to take this powerful photograph which embodies a quickly growing movement across America and the world. The movement spurred through the hashtag #pleasedontshoot is a response to the shooting of unarmed teen Mike Brown by police in Ferguson, Missouri this past weekend. 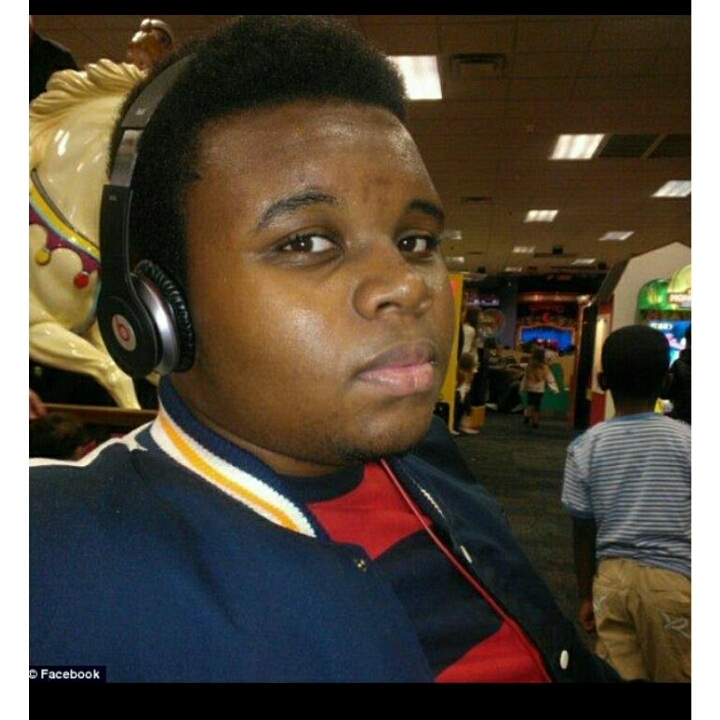 Mike Brown, the 18-year-old youth who was shot by a Ferguson, Mis. police officer whose identity is being withheld from the public and media. Since the shooting of Brown Ferguson has descended into a militarized state as police began mobilizing to combat protestors who were gathering as Brown’s body lay in the street. Earlier this eveing Anonymous made good on their threat and began leaking the police audio from the night of the shooting. The hashtag #opferguson is now being used on Twitter and Facebook to share the leaked information and rally support for Annonymous’ proposal. Ferguson police have now begun to arrest journalists to prevent them from reporting that police are using tear gas, racial slurs and dogs on the growing number of angry protestors. As events spiral out of control we have to wonder why so little is being released to the public since the shooting. The two stories that have emerged from the incident leave more questions than answers and as time passes tensions rise and blood boils, for not only the injustice of Mike Brown’s death, but the lack of urgency or transparency that this tragic situation requires. #pleasedontshoot is a powerful statement. 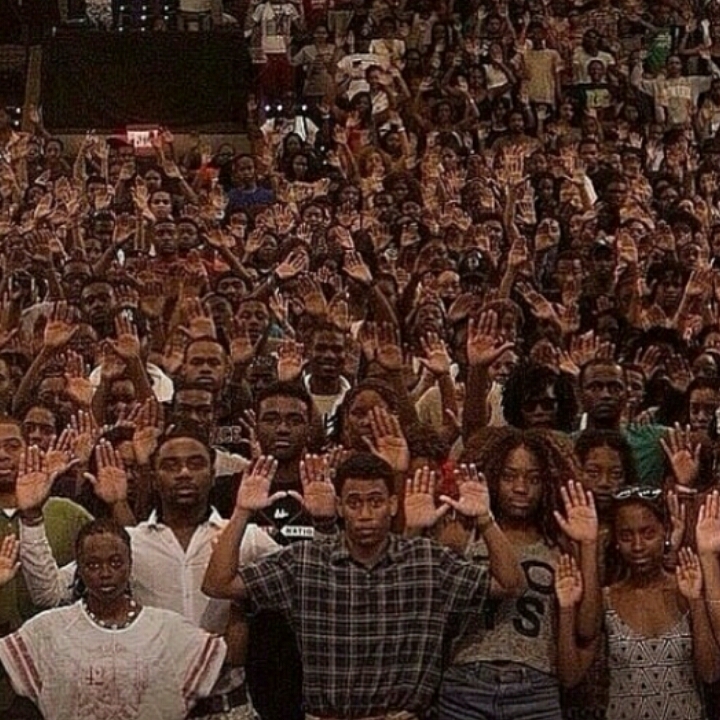 The world is watching Ferguson with baited breath…. 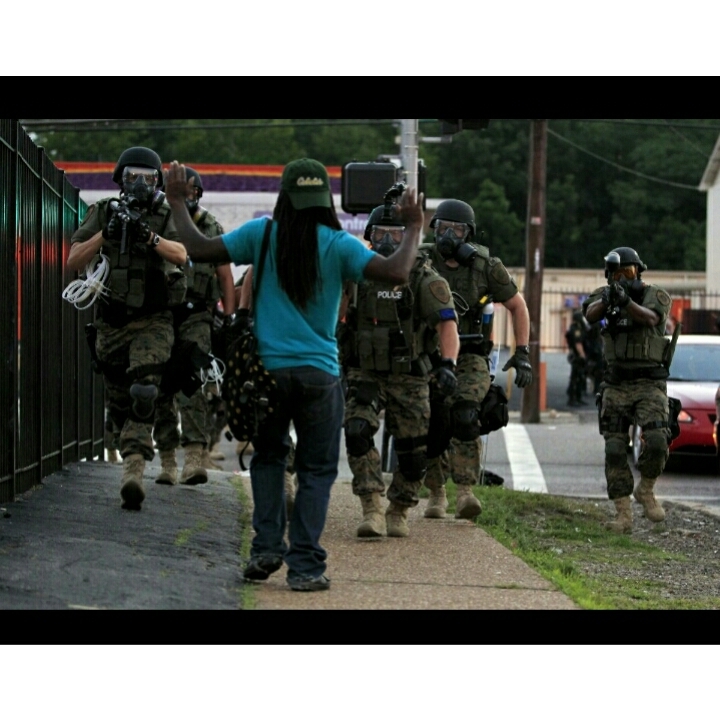 This entry was posted in Uncategorized and tagged #opferguson, #pleasedontshoot, anonymous, howard university, Mike Brown. Bookmark the permalink.